Unexpected dental emergencies can be painful, frightening experiences that somehow seem to always occur at the most inconvenient times. If you’ve had a tooth broken, knocked out or suddenly become incredibly painful, it’s important to get into a dentist’s chair as quickly as possible. Montane Dental Care understands the urgency of your situation. We will do whatever we can to get you into the office promptly. Our emergency phone line is available 24 hours a day, seven days a week. If you are experiencing a dental emergency, call us now at 510-795-0444 and we’ll get you into the office as soon as we can. If you are currently experiencing a medical emergency, go immediately to the emergency room. Our bilingual Spanish-speaking office welcome patients from Fremont, Newark and Union City. As providers of emergency dental services, we strive to stop your pain and treat your issue as quickly as possible. Dental crowns, tooth extractions or root canals are just some of the dental services we use to treat an emergency. At Montane Dental Care, we believe in empowering you with all of the facts and information you need to make an informed decision about your own care. Dr. Montane will explain all of the treatment options available to you and help you determine which immediate or long-term solutions are best for you. It’s never a good idea to ignore a damaged, painful or missing tooth. When you visit our office for emergency treatment, Dr. Montane will work quickly to evaluate your condition and stop any pain you may be experiencing. Once you are comfortable, he will explain your situation and discuss all of your treatment and restoration options that can repair or rebuild your teeth. Most dental emergencies worsen when left untreated. Fractured teeth can continue to crack deeper, resulting in considerable pain and functionality problems. Some issues can lead to infection and other dangerous conditions. 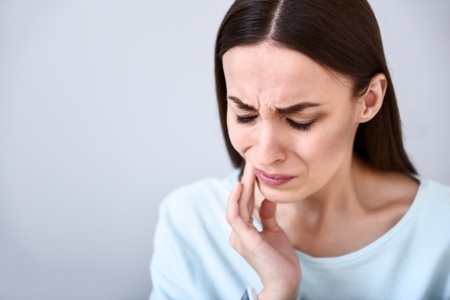 Seeking treatment for any unexpected dental emergency can not only stop pain and address immediate concerns, but also prevent minor issues from developing into major problems that require extensive and more costly procedures. Patient comfort and communication are priorities at Montane Dental Care. You will never be pressured or rushed into making decisions about your care. By providing you with all of the information you need about your condition and treatment options, Dr. Montane empowers you to make your own choice about what is best for your unique situation. If you are looking for an emergency dentist near you in the Fremont, Newark or Union City areas of California, please contact Montane Dental Care right away at 510-795-0444.